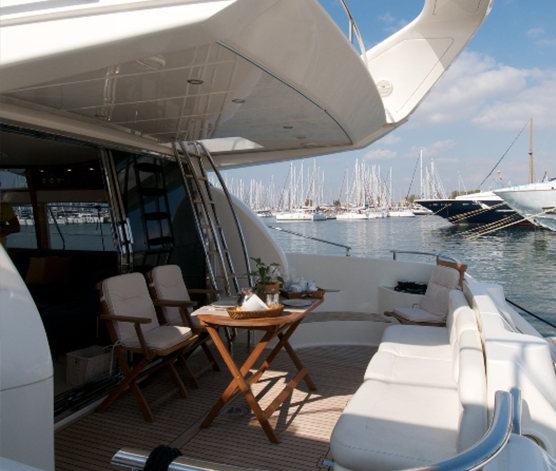 M/Y Poseidon is such an attractive yacht that could be classed as a piece of art, whose clean lines and elegant décor provide its passengers with the ultimate charter experienced. 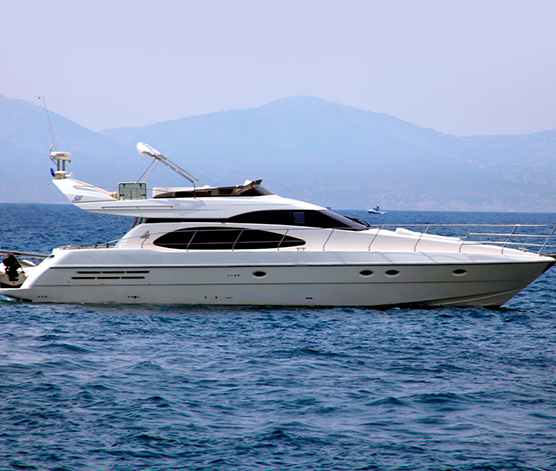 It has been named one of the most successful models created at the well-known shipyard – AZIMUTH BENETTI SPA.With a cruising speed of 28 Knts passengers are transported quickly and safely to desired destinations.The yacht obeys perfectly at the commands, it is so powerful and yet so easy. 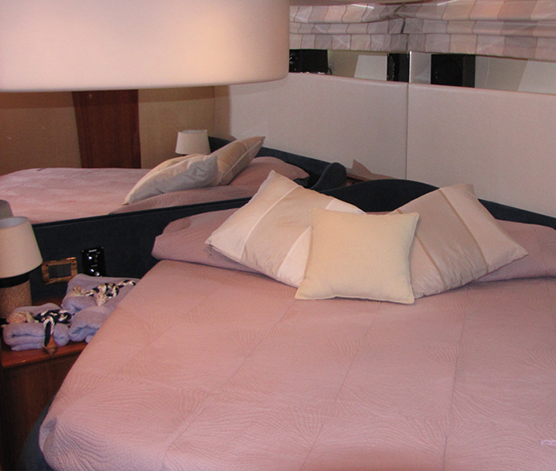 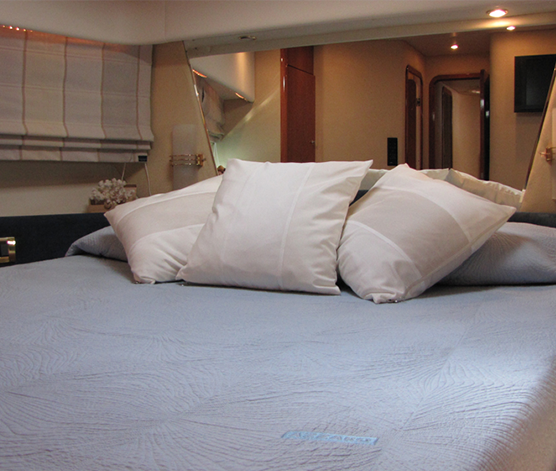 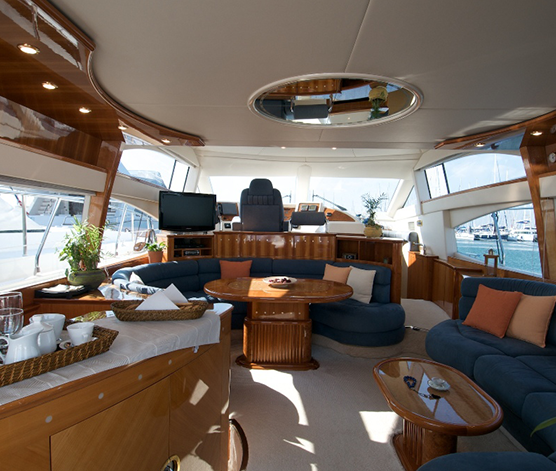 The instruments at disposal make each maneuver simple and smooth.This yacht combines comfort and style with safety and the latest technology, thereby providing its passengers with the comfort of a top class hotel and the freedom to switch destination at a whim.Azimuth 58 is a masterpiece of aesthetics, spaciousness and livability. 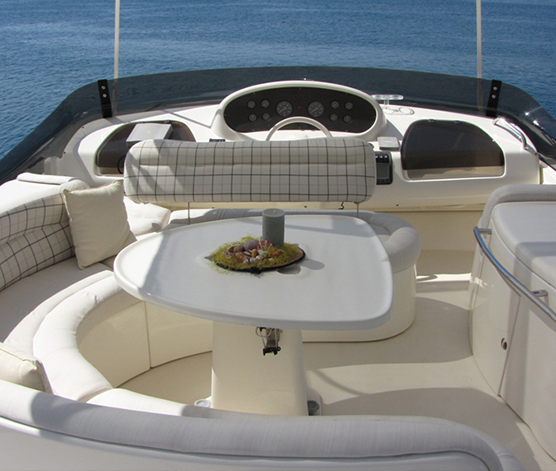 The sun deck adjoins the dining area offering many hours of pleasure.